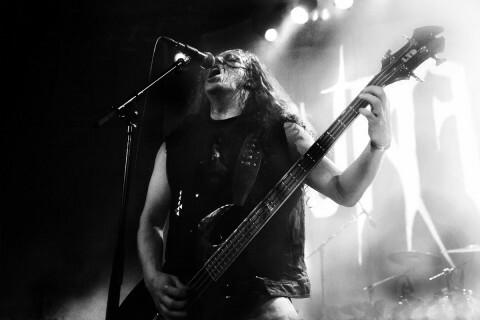 Black metal is full of enigmatic fringe artists, people whose work is greatly admired by those who are aware yet seem to fly under the radar for many; Aggressor (aka Carl-Michael Eide/Czral) is one of those characters, his legacy has had an astonishing influence on black metal, particularly the Norwegian scene. Through his different projects, his work has helped shape new sub-genres like avant-garde BM with the sublime Ved Buens Ende, industrial BM with DHG and black/thrash with the band in question, Aura Noir. I think it's fair to say that of all his projects Aura Noir is likely the most well-known and orthodox in the music's approach. Despite Aggressor's fall/jump from a balcony that stopped him playing drums (one of BM's most inventive drummers too) in 2005, the band have soldiered on, with Czral picking up the guitar and continuing the black/thrash attack of Aura Noir. 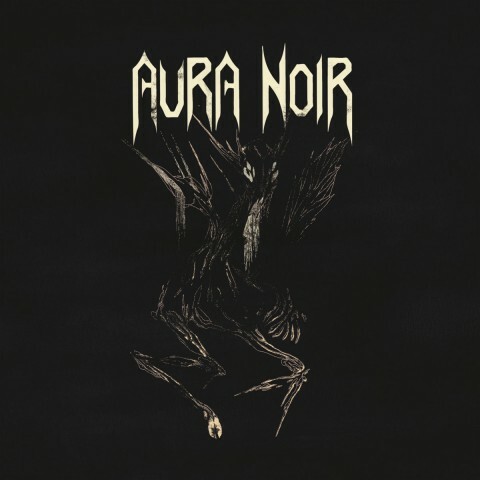 The music of Aura Noir is classic black/thrash, it harks back the time before black metal had formed fully and was still riddled with the influence of bands like Venom, Bathory, and Kreator. There is, however, a twist in the tale, tonally Aura Noir sound like they fit right alongside their influences, lo-fi production rife with echo and thin buzzing guitars but within the riffs lie the strange approach of Czral. As soon as "Dark Lung of the Storm" kicks in with it's catchy off-kilter riff it's immediately apparent that despite the classic black/thrash sound, the influence of Blasphemer & Czral's fascination with dissonance and strange rhythms (best displayed in Czral's projects like Ved Buens Ende and Virus, and Mayhem's "Grand Declaration of War" for Blasphemer) can't help but seep into their take on black/thrash. This has been the case with Aura Noir for a long time and is one of the reasons that I've always appreciated them, they may not reinvent the wheel but they give it a good looking paint job and finish it in their vision. "Aura Noire" is more or less standard fare for Aura Noir, they perfectly capture the aggressive feel of early thrash, it sounds raw and punchy, an undeniable garage feel to it; a band capturing a great rehearsal or show in a studio environment, there's an irrefutable energy to an album that lacks a big production sound which can detract from the 'feel' and intensity that seeing bands like Venom or Nifelheim live provides. Apollyon's drumming is solid, there are little frills to his playing as the drums pound in the background, nailing the songs together with Aggressor's, at times shifting basslines to create a tight rhythm. Blasphemer's guitar work fits far better within the confines of Aura Noir, what sounded out of place in Mayhem fits like a glove in Aura Noir and allows these musicians to create a beast that recognizes the archetypes of a genre yet still produce something that is unique and individual. "Aura Noire" is another solid outing for these legends of black/thrash, there have been few other bands in this sub-genre, except for maybe Desaster, who have been able to produce album after album of consistent music that is as strong as when they started. Recommended listening for any fans of black/thrash or bands like the aforementioned Bathory, Venom, Nifelheim, Sodom, Kreator, and Sarcofago.